Anastasia Beverly Hills is a brand known for brows. Whether you're looking for a powder, a pomade, or a pencil, you name it—it has it. Although we've been fans for a long time (the ABH Brow Wiz $21 will forever hold a special place in our hearts and our makeup bags), we can't believe that the brand is turning 20 this year. That's right, 20 years ago, Anastasia Soare created her brand in the heart of (yes, you guessed it) Beverly Hills, California. And trust us when we say that it isn't letting the two-decade anniversary pass quietly. In order to commemorate the brand's origins, as well as celebrate all of the products it has created along the way, ABH has released a giant "Brow Book." It includes every eyebrow product made by the brand, including brushes and tools. But before you hit an ATM to withdraw your life's savings, know that it's not for sale. Yes, you read that correctly. The brand isn't selling these brow books—it's giving them away. Before you ask: No, it's not too good to be true. Apparently, from now through November, the brand is giving away these gigantic brow tomes to a number of lucky fans. Did we mention that they're valued at $1000? After all, they do contain the ABH Dip Brow Pomade ($18), Brow Wiz ($21), Brow Powder Duo ($23), and Brow Gel ($22) among other brow tools. "Our fans mean so much to us, as their passion and dedication has made the brand what it is today," said Claudia Soare, president of Anastasia Beverly Hills. "We're thrilled to have our audience involved in this milestone and to give them the opportunity to win the limited-edition gift set through interactive social contests." The social contests began on the brand's Instagram on September 7. Don't panic if you missed it, though, since other giveaways will take place all the way through November. Just check up on all the brand's social media platforms (in other words, follow them on Twitter and Facebook, and subscribe to its YouTube channel because it will be announcing opportunities in the coming days, weeks, and months). If this is giving you a serious case of FOMO, sign up for email alerts to become aware of giveaway opportunities as they're announced. 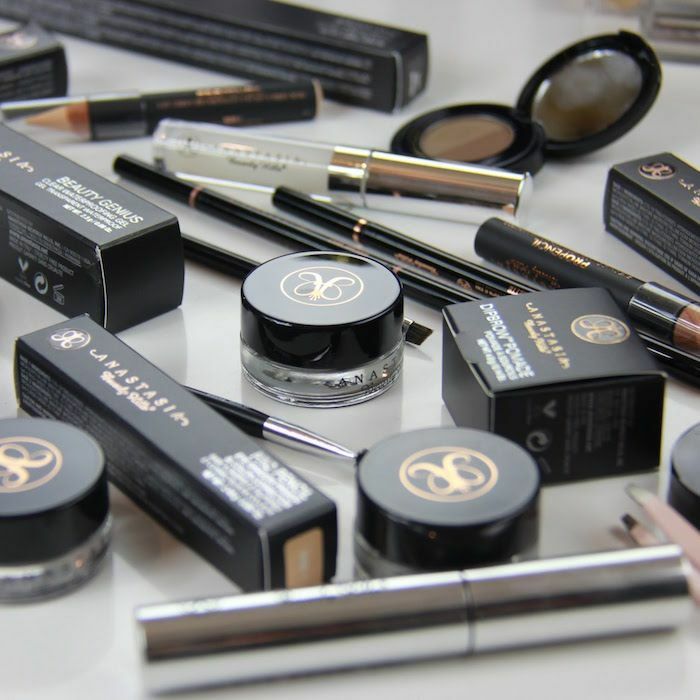 We know we are, especially since world-famous brow products are on the line. Next up, see the makeup products that supermodel Adriana Lima uses to create an evening look!